Join Hanni Geist from the DAAD Information Center San Francisco for a new, dynamic 30 minute webinar format. This upcoming webinar will feature the Technical University Munich and UA Ruhr (Ruhr University Bochum, TU Dortmund University, and the University of Duisburg-Essen). After brief 10-minute presentations by the university representatives, participants will have the opportunity to engage directly with the speakers - so bring all your questions about studying in Germany! Current and prospective students as well as advisors are welcome to join to learn more about graduate degree programs in the STEM fields. 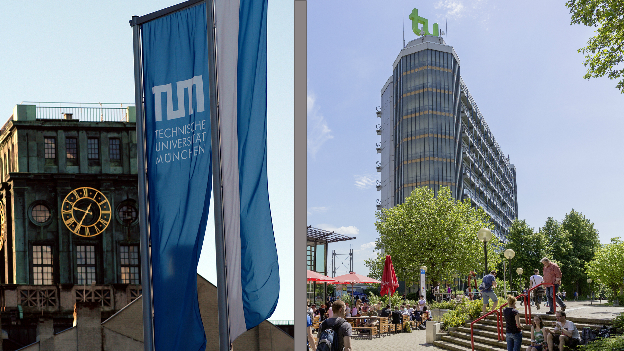 TUM has been chosen as one of the 10 best universities worldwide for the quality of the graduates it sends out into the working world. As of 2016, more than 800 start-ups have come from TUM, and the university aims to foster a supportive environment for students with entrepreneurial ambitions to launch their ideas with a market-focused approach. The regional liaison office San Francisco of the Technical University of Munich invite potential Master students and PhD candidates to learn more about the manifold opportunities at one of Europe’s leading universities. Participants will also get information on German language skills requirements, study costs and application process. For PhD candidates, the webinar will provide information specific to Germany on topics such as funding possibilities, how to find a supervisor, and different formats for doctoral studies at TUM. For more information, visit www.tum.de/en/. The metropolitan Ruhr region is one of Germany’s biggest melting pots with students and faculty from all over the world. The region offers extensive sports programs, international cultural events as well as an excellent public transportation network. The UA Ruhr is an alliance between Ruhr University Bochum, TU Dortmund University, and the University of Duisburg-Essen. The Ruhr universities offer academic excellence with an extensive network of interdisciplinary research centers, graduate schools and research groups. Close partnerships between the Ruhr universities and the industry are key to the success of UA Ruhr university graduates. This webinar will briefly introduce the three UA Ruhr universities and the Ruhr regions. It will highlight selected STEM graduate programs in English with a strong focus on practice, many of which offer internships and research collaborations with industry partners in the region as part of the program. For more information, visit www.uamr.de/en/.